Istanbul makes an exotic first impression: Boat traffic on the Bosporus sends waves brushing up against the shores of both Europe and Asia as enormous mosques and monuments from previous empires stand guard. The city wears its history more openly than many, but that doesn't mean it's always easy to find. So writer Selcuk Altun spins mysteries that take his heroes into forgotten corners of the city, where once-majestic monuments go unnoticed amid the bustle of modern life. 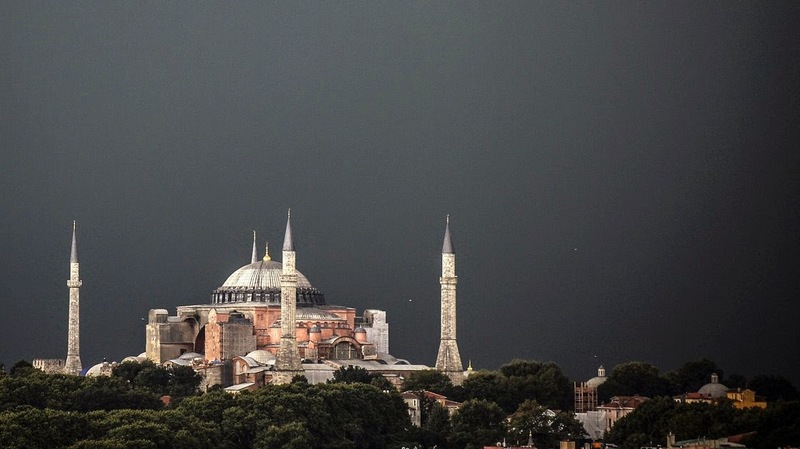 Turkey's current Muslim leadership focuses primarily on the Ottoman Empire, but Altun's novel The Sultan of Byzantium is a homage to the Byzantines who ruled Istanbul — then Constantinople — for a millennium before the Ottomans came along. It begins with a quiet academic living in Istanbul who receives a cryptic message that will change his life. It's from a mysterious organization that tells him he's a descendant of the last Byzantine emperor, Constantine Palaeologus, and it poses a series of tests to determine whether he's a worthy successor. Along the way, he discovers that other descendants, including his father, died under mysterious circumstances.